India is a quiet developing country in Asian continent. When it comes to tourism, this place is a complete paradise. You can find a lot of elements in this country from Hawaii styled beach vacation in Andaman to Venice styled vacation in Kerala. You might end up choosing all activities in the country to experience a life-time joy here. 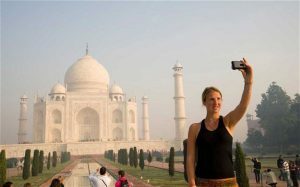 How to save a few bucks on your Indian tour? Here are the top 25 ways laid down by experts to save money on your trip to India. Choose off-season to enjoy better deals in air tickets, hotels and others. If you want to shop in India, you should learn to bargain and haggle. Else, you would end up spend 10 to 50 times more for any product. Once they see a foreigner, they triple their prices immediately.Know more about Best Shopping Places in Delhi. Use sites that helps in price comparison for booking tickets, accommodation, travel inside country and so on. If you are hiring a cab for travel in India, choose diesel cars. The fuel price in India is hiking and best way to curb some expense is by hiring a diesel car or use tourist buses. When you are in a hotel, do not get tempted to use the mini bar in your room. They might look small and cheap but, they would affect your bill tremendously. Check out Top 10 Hotels in India. There are a lot of budget friendly hotels in the country. If you are staying in an expensive hotel, skip ordering food from restaurant in the hotel. You can choose some small restaurants on your way. Use any app to review restaurants so that you do not end up sick in your vacation. Know how to enjoy vacation in India at your pocket budget. Building on the previous point, always renew your travel insurance before planning your trip. If you want a decent medical treatment in India, price might burn your budget. Learn about your roaming charges before starting to India. Choose a plan that would suit your need without draining your wallet. There are a lot of tourist hosts and ashrams in many destinations where you can stay for a very less charge. Do your research before booking your accommodation. If you have a very tight budget, you can backpack and camp at night. It would be a wonderful experience and you can delightfully save money without reducing any ounce of entertainment. Choosing tourism packages from any travel agent would be a cheaper choice that planning everything on your own. Do the math and choose the one that would suit your wallet. Be choosy in your entertainment. There are a lot of entertainment options in each destination that are way too expensive and damn too cheap. You ought to make a list of entertainment that would suit you before starting off. Travelling in large group or using groupons would be very helpful in reducing a large chuck of your expense. Prefer overnight travel with sleeping facilities to reduce one night hotel stay cost. Try to carry some instant snacks for your picnics and trips to avoid any expensive eateries. While eating out, choose local food items as they are cheaper and you can experience the local cuisine. You can eat a burger or salad anywhere but, a local delicacy is something exotic. Explore detailed information about the top delicacies in india. Avoid laundry services and pack as much clothes as needed. It is very costlier to avail any type of laundry service from your hotel. Free water is not a money saver. Free water can make you sick and lead to increase in medical expenses. Carry bottled water. Tip reason ability Many small budget restaurants do not give importance to tipping. If you are travelling with friends, renting a bike is an easier and cheaper option than a cab. Use travel cards or credit cards while buying things or services. This would help you to earn points. Take a train for local travel during mid-day. This is a hassle free, cheaper and interesting option. Do not choose shops and restaurants that are advertised by your drivers or hotel. They might get a mark-up for each recommendation and you would be charged with a heavy bill. Use apps that help you to choose cheap services. Spend a lot of time outdoors in nature or with sightseeing. This would help you to curb unwanted expenses. Choose local shops to buy souvenirs inside of malls or plazas. Remember that entertainment has nothing to do with money when it comes to India. You can always have a fun filled vacation in India no matter how small your budget might be.